Visit PCA&D First Friday, February 2nd! 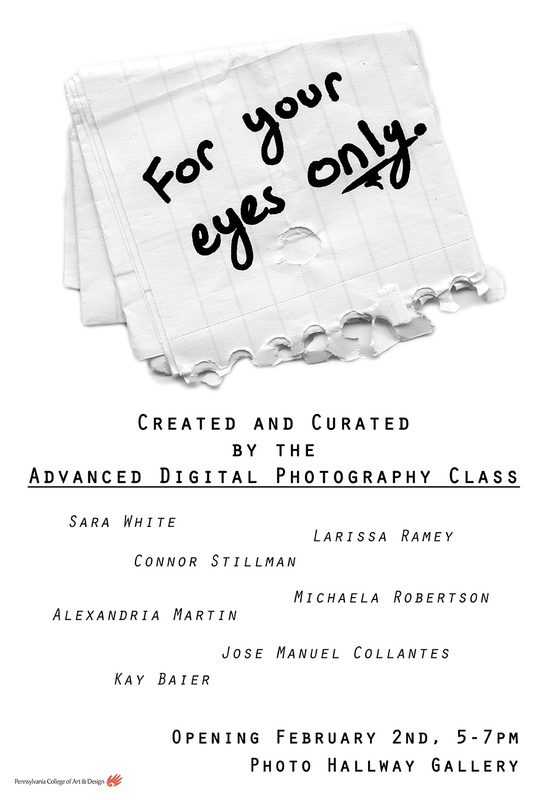 Please join PCA&D in the Photography Hallway Gallery this Friday February 2nd, during the PCA&D First Friday events from 5-7pm, for the opening of For Your Eyes Only, an exhibition of photographs and books presented by the third and fourth year photography majors. 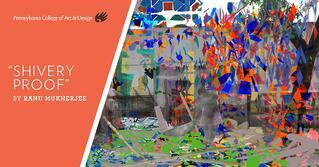 The exhibition is a culmination of a semester-long project in Julia Staples's Advanced Digital Photography course. Each photography student chose a topic to research and photograph. The goal was to think about both how images communicate meaning on the walls of a gallery, as well as inside of a book. Through this assignment, they also learned about image sequencing and color management techniques. Each student created their own book and will be presenting them along with their prints in the exhibition.